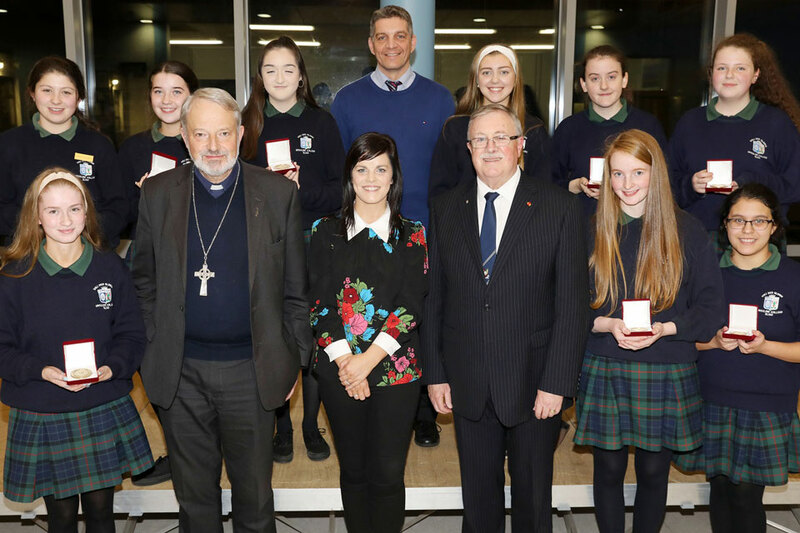 On Wednesday, 24 October 2018 the diocese of Elphin held their Annual Pope John Paul II Award ceremony in the College of the Immaculate Conception, Sligo. 53 young people from the diocese received their Pope John Paul II Award. 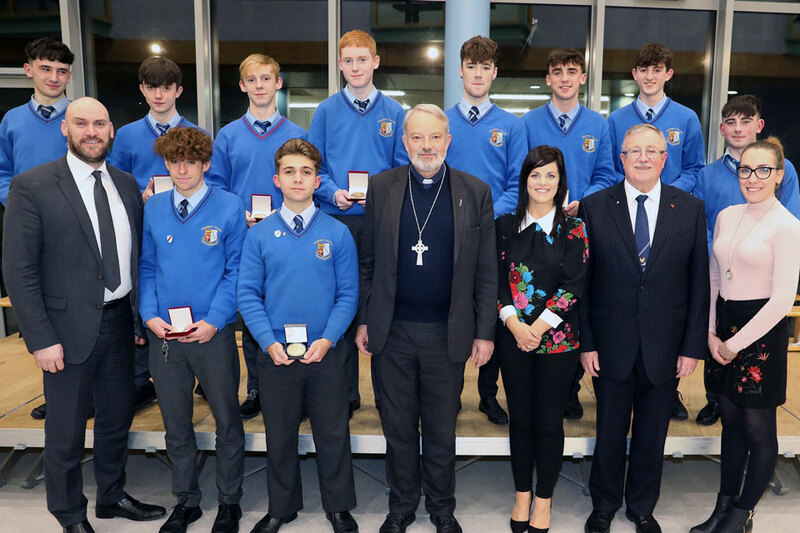 The ceremony was attended by Bishop Kevin Doran, Mr Barry McMahon (Representing the Knights of Saint Columbanus), Local Area Knights, School Principals, Award Leaders, Teachers, Priests, Parents, Family and Friends of those receiving their Awards. 53 young people received the Papal Cross, Gold, Silver and Bronze Award. Ms Nicola Mitchell, Director of Knock Youth Ministry was the guest speaker. Nicola shared her personal faith journey and her words of encouragement for our young people were truly inspirational and greatly appreciated by all in attendance. Four recipients of the Award shared personally and profoundly about their experience of partaking in the Award. They and all of the other young people who received their awards are a credit to their families, parishes and schools and are to be commended for their commitment and engagement over the past year. 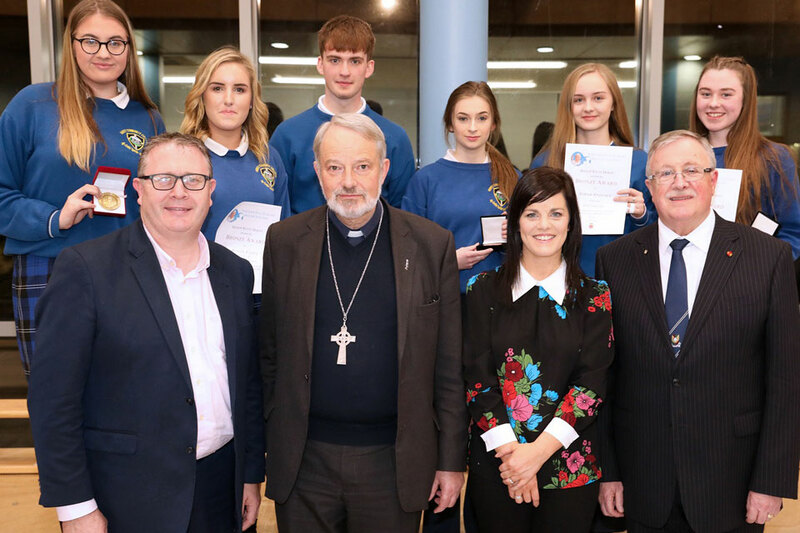 In his address on the night Bishop Kevin congratulated the young people and thanked them for giving their time and energy to their local parishes, schools and communities. 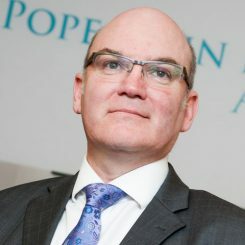 He shared some thoughts and reflections on Pope Saint John Paul II and his love for young people and how he encouraged young people to not be afraid to follow Jesus. The evening was greatly enriched by the musical talents of choirs and musicians from the Ursuline College Sligo, the Mercy College Sligo and the College of the Immaculate Conception Sligo. Sincere thanks to the College of the Immaculate Conception, its Principal Mr. Paul Keogh, Principal and the Board of Management for making their beautiful school available to us for this wonderful celebration once again.